★★★★★ Probably one of the best cables I've ever bought. Very well made and after a few months it still looks brand new and I don't have any connection issues with it like all of the cheap cables I've purchased before. Also, the plug fits in my phone ( Iphone 6 plus ) very snugly. As soon as one of my other cables goes I'm buying more of these. ★★★★★ Cables appear to be well made and work great so far. They are a little stiff - but I am hoping this will help them last longer. They come in a nice resealable bag which I like because I keep these in their bag and in my travel case. I have not had them long enough to worry about bending damage at the lightning connector end which has been the failure point of every cable (braided or not) that has failed on me, but so far they are holding up well - as advertised. It would be nice if these came in a few colors so we could tell them apart when my wife and I both have them plugged into the same charger. ★★★★★ Sturdy cable - works well. No error message when charging iPhone 7. ★★★★★ Work as expected. Packaging is printed with MFi logo. Other cables claim MFi certification, but don't work on my iPad Pro. It's important for longer charging cables. 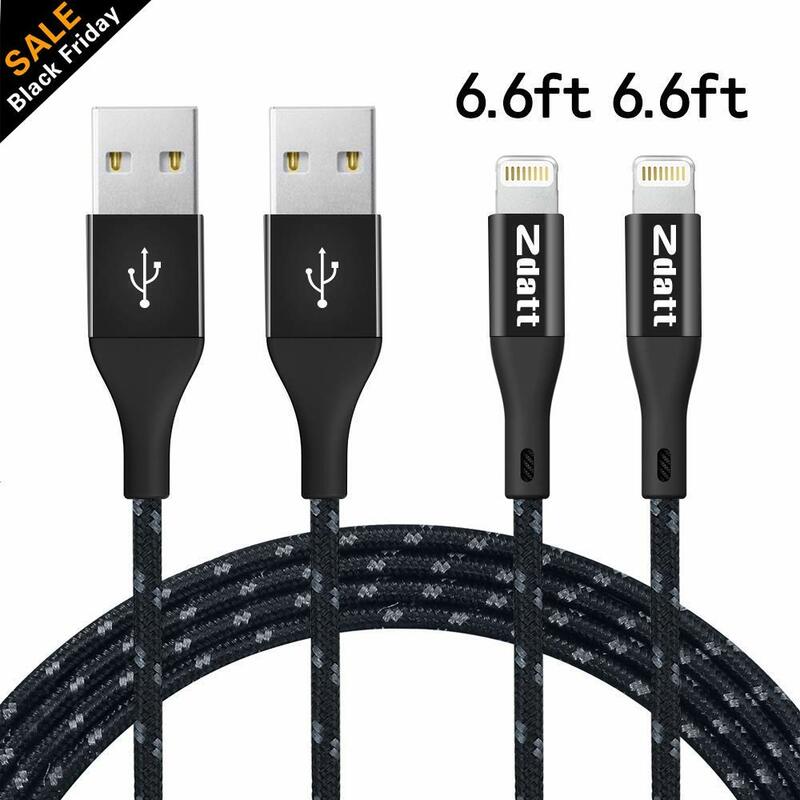 ★★★★☆ I ordered the 6", the 1M, and the 2M cables.The 2M cable is not reversible on both sides, even though the description says so. Otherwise, it's a good cable. It's an annoyance, but I can cope. I just used a different brand of 2M cable for my travel bag.The other two cables are reversible as described, and also nice. Strain relief, woven sheath, and thick enough to carry current and data over the cable length WITHOUT giving the dreated "unsupported accessory" error.Some cables came from FBA / US warehouse, and one came from HK. The HK delivery was only a couple of days after the US, which is pretty nice, especially considering the price.Originally, I marked this 3 stars, but only one cable had issues. I decided to bump this up to 4 stars (over the 3 products).